Want to truly experience Africa, its smells, sounds and that unmistakeable 'Africa feeling'? Then get off the safari vehicle and walk a little closer. 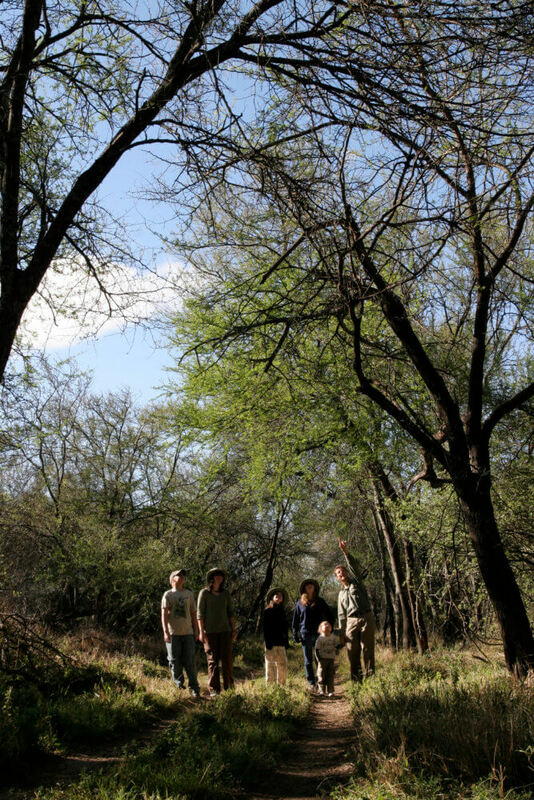 Samara is one of few private game reserves where walking forms an integral part of the safari experience. With fragile ecosystems and a ‘tread lightly’ policy, our preferred form of off-roading is on our own two feet, providing the ideal place for an unforgettable walking safari. And what a way to explore the bush! Let our experienced guides walk you through our four vegetation biomes, pointing out the signs of the wild invisible from the vehicle. Marvel at busy termites as they go about their daily business, listen out for the call of the Honeyguide leading you to wild honey and feel your senses heighten in every way as you navigate the sort of landscape our prehistoric ancestors dwelled in long ago. Every tree, every rock and every track has a story to tell. During your walking safari, breathe in the silence and space so foreign to our everyday urban lives and feel yourself reconnecting to Nature. 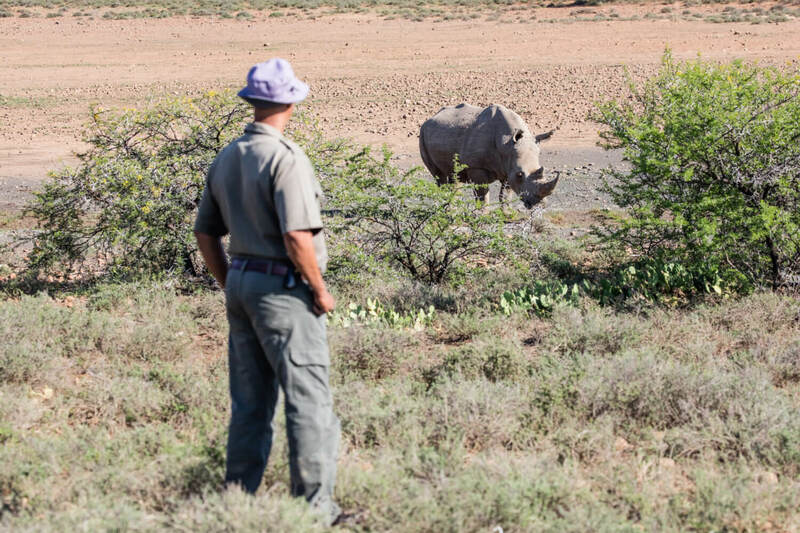 No one can fail to be moved by the sound of trickling water in a stream, the gentle whistling of the wind rustling the leaves, the sense of suspense and awe at walking to within metres of endangered cheetah and rhino. If the conditions are right, you’ll get the opportunity during your walking safari to track these iconic animals on foot. What a privilege to enter their space and witness these animals living wild and free. An unforgettable and humbling experience awaits. 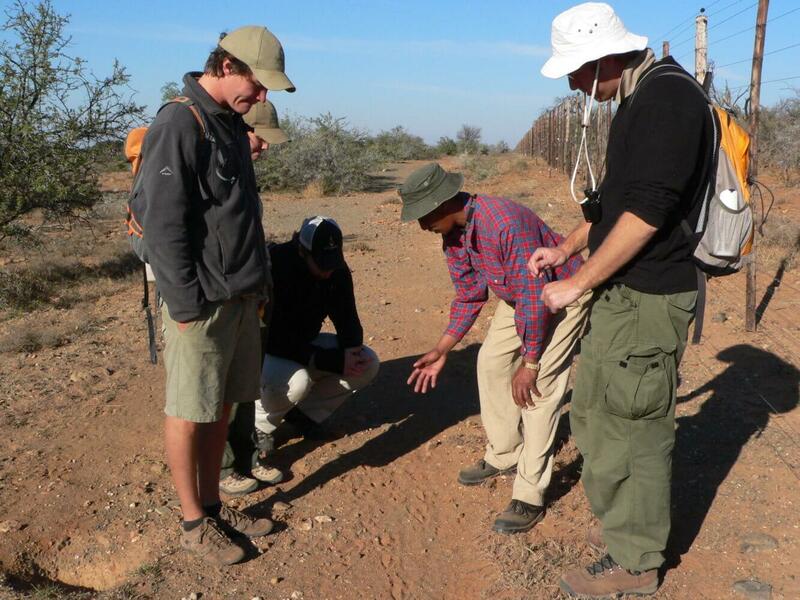 Samara hosts a Tracker Academy, the first of its kind in South Africa, whose mission is to revive the ancient indigenous knowledge of tracking. 16 young people from sub-Saharan Africa are hand-chosen every year to participate in the programme. 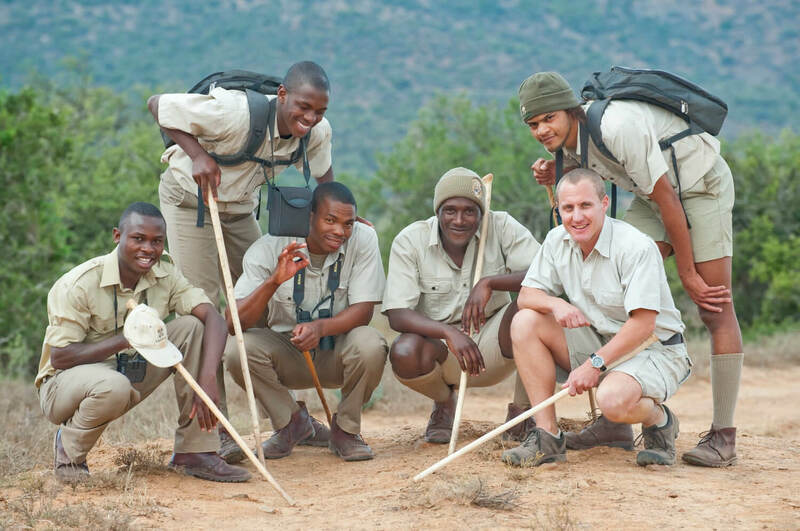 More than 94% of graduates are permanently employed in the nature-based tourism sector. Samara guests can accompany the students and their teacher, Karel ‘Pokkie’ Benadie, on their morning excursion every second Friday. Make sure to state your interest when you book with us. 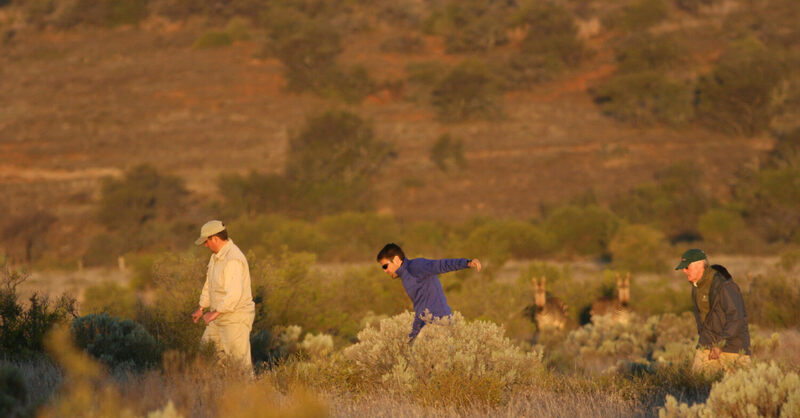 To note: Rates at Karoo Lodge and The Manor include two game activities per day, either game drives or game walks. Discuss your preferences with your ranger and we will do our best to accommodate your requests whilst also taking into account those of the guests sharing your vehicle. Most game drives include a certain amount of walking. If mobility is an issue for a member of your party, please advise Reservations when booking. None of the walks are particularly strenuous but a basic level of fitness is recommended. We try to ensure that all of our guests experience a cheetah sighting, which often requires a short walk. Longer hikes can also be arranged on request. We recommend a minimum of 3 nights if you are keen to explore Samara’s vast landscapes on foot.